Nicely said, there's an example of a player that never played rose before*. And here's a player being pesismistic. Well sevenskiesrose have 7 of the best developers in rose and couldn't grow or reach good. BratokROSE was growing (lived 2 years) and reached a number o 60+ online but had to close from problems. Sorry sorry sorry to say that LuvRose will never get 1,000 players no offense it's a fact and there is a small number of people looking to join a new rose that's because rose population is small and that's a reason why most of all servers close. Hope you guys understand what i mean and i hope you guys believe in miracles ..
as i said on my previous post we don't know what will happen . just stop giving comments and see what will happen . we all know LuvRose failed last time but expect more now i feel that the staff are serious for improvement . 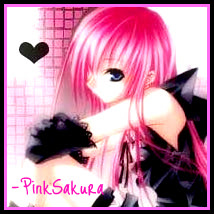 lol, Look PinkSakura Ill explain for you why is it impossible for LuvRose to reach 1,000 Players. 1)Rose population is so small. 2)Alot of private servers closed because they see that only little are stable so alot don't give the time well 80% don't give their time to try new servers. 3)Even 7 of the best Rose Developers did new systems and cool new features but still failed! 4)Players of big server now stick to their server. 5)Xtremetop100 and Gtop100 RoseOnline section number of hits decreased in a big way. 6)LuvROSE isn't prepared to be big to get 1,000 players. (if someone wanna discuss this point at PM only). 7)LuvRose opens and closes which affects negatively. 8)LuvROSE client is still kinda basic. If it was a RAN or Ragnorak or Flyff which have a very wide population I think you'll get more players than a rose. Yes. I do agree that ROSE's population is quite small. And making 1000 players is isn't going to be a walk in the park at all. However it's not 100% impossible. Yes the odds are really off. But all I can say is you never know. Anyways we'll be launching the beta in a few days. Did i ask for explanation ? DId we ask you to answer? Just cut it out. This topic is to discuss the construction. Everyone please stick to the topic. H3O and I will be talking tonight about how we're going to set everything up, we will also announce a community discusion over IRC once we have prep'd most of our stuff, everyone is welcome. Nicely said muhaha that imaginary adventure made her a mad person lol, anyways goodluck LuvRose in "mission impossible" 1k players! Did you not see another admin telling you to 'shut up'? Once more and i'll indefinitely ban you from the forums, we don't need flamers as well as trolls. Don't question one's opinion about something, you stated your opinion, but now you're critising her just because she stated HER OWN opinion. This goes for anyone and everyone. (Note: The next one to reply to my message, do not quote it, the pyramid of quotes ends here). Keep banning so you will have -1000 players! OMG, im so scared he will ban me lmao. Your attitude fails to impress anyone here. Did I say I wanna impress anyone? Zero would you please mind getting back onto topic. Whether you are right or wrong about your point I'd like both you and Influx to stop, as well as anyone else involved in this argument. This topic is only to be discussing what information I have left back. DO NOT continue with this. Let's keep this clean and positive. Just leave it; we will deal with him on our own terms. For now stay focused. The Beta construction is nearly over. All we have to do now patch a few things up and launch a test client. Is it the Hrose client? same as the old one? but with your updates? which updates? We're trying to keep it simple for the beta. The full release should have updated maps and items, as well as quests and new systems. Can you show us anything from the full release one? Sure I'll post on image once we get a rendering of the client. I am currently trying to complete the beta construction which would go a lot quicker. But it's coming along and should be released shortly, even though I said that a while ago.